Pit Bull dogs are categorized into American Staffordshire Terriers, Staffordshire Bull Terriers, American Pit Bull Terriers and Bull Terriers. These breeds came about during the mixing of Terriers and Bull Dogs in the 1900’s. Being the proud owner of an American Pit Bull Terrier, I can truly speak up for this breed. Pit Bulls are very loving dogs who doesn’t deserve the bad rap they get from the media. How did “Americas Darlings” of the 80’s become America’s monsters of the 21st century? My Pit Bull Terrier is currently 3 years of age and she has yet to bite someone. Since Pit Bull dogs interact with their human family so much, their behavior really depends on how they were raised. A well raised Pit Bull puppy is the perfect addition to any family that loves dogs. Pit Bulls are fairly easy to care for and they are generally a healthy breed. 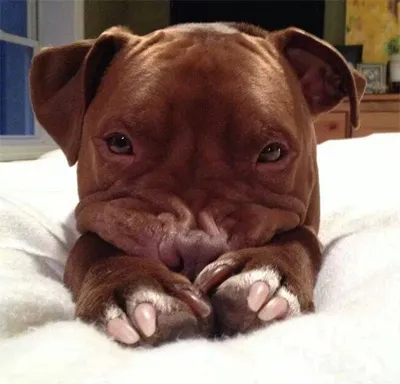 Pit Bull dogs can live up to 14 years of age with a good diet and exercise regime. Your dog only need about 30 minutes of vigorous exercise per day. My American Pit Bull Terrier is the healthiest dog that I know. The only time she went to the veterinarian was for a bee sting. She got all of her immunizations on time from Luv My Pet at Petco. Her diet consists of Purina Smart Blend dry dog food along with raw meats such as chicken backs and pork shoulders. She also gets plain yogurt, baked yams & pumpkins from time to time. She also gets a table spoon of coconut oil in her meal every other day. Be sure to feed you Pit Bull dogs in a ceramic or stainless steel bowl as some dogs have plastic allergies. Bathing and grooming your Pit Bull is easy as they have short fine hair. You can rub them down with coconut oil or olive oil prior to bathing to get that smooth and silky coat. These oils are also very good for their skin especially when they are dry or flaky. When you get your Pit Bull puppy, teach them the rules of the household early. All dogs are pack animals and they love rules and regulations. Introduce them to their boundaries early through positive reinforcement. Don’t ever hit your dog while training them, you don’t want to be seen as a weak pack leader. You never have to hit your dog, dogs are smarter than you think and can sense when something upsets you. Some dog trainers prefer throwing water balloons at your puppy to startle them away from the negative behavior. I don’t however agree with this method because either you are giving them the wrong message that you want to play with them or you are putting fear into them. I find saying NO! in a loud tone to be much more effective with my Pit Bull puppy. Potty training can be difficult for some dogs but I noticed it was pretty easy with my Pit Bull. 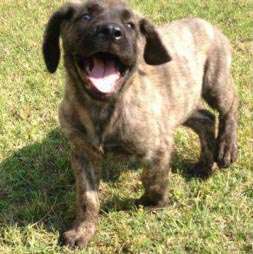 They will have a few accidents in the beginning but don’t get mad at your puppy instead use this as an opportunity to teach them. Catching them in the act is crucial for correcting any behavior. If you catch them peeing somewhere Simply say NO! in a loud tone then pick them up and put them outside to pee. Praise them with American made dog treats every time they go potty outdoors. Try to put them in the same spot everyday. Keep repeating the same and they will eventually know peeing inside isn’t acceptable behavior. You will also need to catch them in the act when it comes to other unwanted behaviors. If you catch them chewing on your rug for example, immediately say NO! in a loud tone and give them a dog toy to chew on instead. 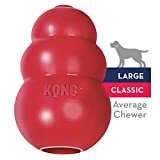 It is a good idea to have plenty of dog toys such as the Kong Toy made available to them while they are teething. Pit Bull’s Aren’t Guard Dogs: Pit Bull dogs in general aren’t meant to be guard dogs, they are family dogs that thrive on human companionship. 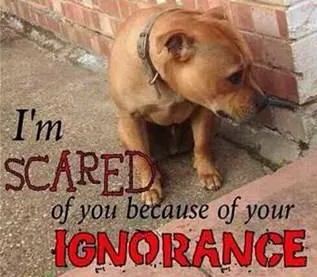 It is so sad to see people on the streets walking their Pit Bull dogs with the wrong mentality that they are going to protect them. Did you know that training Pit Bulls for guarding purposes can even make them aggressive toward all people? Pit Bulls make very good family dogs as they are very loyal to their human owners and are easily trained. If you really want a guard dog then get a Cane Corso, Rottweiler or Doberman. Pit Bull Dogs are War Veterans: A Pit Bull named Sergeant Stubby served for eighteen months in 17 battles. He was used in detecting mustard gas attacks by the German military. He was also used to located wounded soliders in the battle. Upon returning home, he was honored by presidents Woodrow Wilson and Calvin Coolidge. Pit Bull Dogs Do Not Lock Jaw: It is a common myth that Pit bull dogs lock their jaw after biting someone or something. 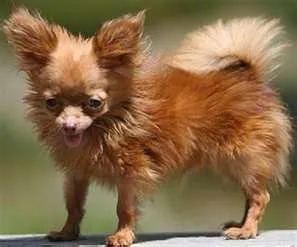 Their skull structure is similar to any other dog and doesn’t have any special accessories to make the jaw locking function happen. 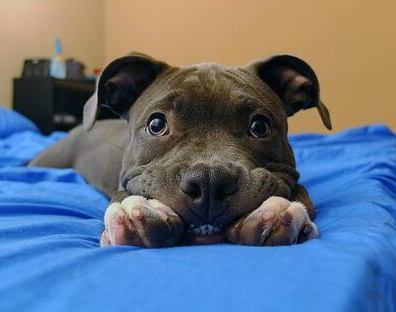 However, it is true that Pit Bull dogs are persistent and does everything they do with great determination. If they do bite on to something they give it their all. Pit Bull Dogs Do Not Have a Mean Bite: You will be surprised to find that Pit Bull’s have considerably low bite pressure per square inch than German Shepherds and Rottweilers. On a PSI test that was conducted by National Geographic, it was found that the Pit Bull’s bite pressure per square inch was 235 pounds vs 238 for the GSD and 328 for the Rottweiler. Don’t Judge Us By Our Color: When getting a Pit Bull puppy, I noticed people pay attention to their color. Some people are so proud to say they have a “Red Nose Pit Bull” “Blue Nose Pit Bull” etc. Did you know that a Pit Bull’s color is the least judged factor even for a show dog? Historically, Pit Bull’s were bred to perform a function and color didn’t matter. Breeders still know that it isn’t the color that makes a well rounded Pit Bull but their genetic line and temperament. How do you like being a Pit Bull owner? Would you ever consider adding a Pit Bull to your family? Agree with everything you said. My sweet girly pitbull loves cuddles, hugs and kisses. She follows me everywhere I go. She’s extremely smart and well behaved. Thank you for your information you’ve shared. My staffy cross mastiff is such a big baby and is most content being carried around resting his as ‘common belief would have it’ viscious jaws against my cheek and eating food from my fingers with such care . I have a pittbull/boxer mix named Ladybug or LB for short. She is a super mama’s girl! She’s my shadow. People criss the street when they see us coming then its time to stop and educate a bit. My girl loves EVERYONE except cats and blue jays. She’s well behaved and I wouldnt trade her for the world!